Pompey Academy have the opportunity of sealing a plum FA Youth Cup third-round tie tonight. Mark Kelly’s side travel to Cray Wanderers in the second stage of the competition at Bromley’s Hayes Lane. The Blues will start as firm favourites to win the clash, with their opponents – whose senior side play in the Bostik League south east division – enjoying their best-ever run in the tournament. And the two sides are fighting for the right to play Liverpool in the third round. It would be an exciting tie for Pompey, with the opportunity to face the Premier League club’s Category One academy side. The game wouldn’t be played at Anfield, however, and instead at St Helen Ruskin Drive Sports Ground. But Kelly will demand his troops not to think about a potential game against the Reds, instead warning the young Blues not to underestimate Cray. 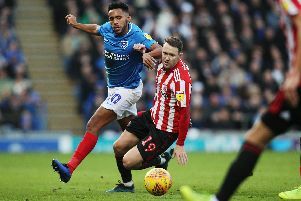 Pompey head to Wanderers full on confidence, having defeated Bristol Rovers 4-2 on Saturday. They also defeated the Gas 5-2 in the first round of the FA Youth Cup at Fratton Park last month.